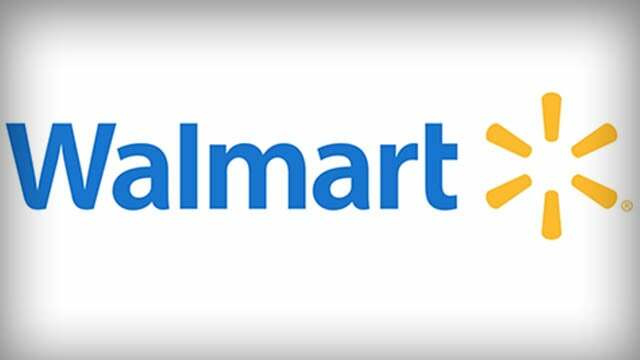 RUSH: Now, folks, the news coming out of Walmart today is just mind-boggling in a couple of different ways. Now, what we’re looking at here, this is directly because of the Trump tax cut. It is exclusively attributable to the Trump tax cut. Walmart has announced that it’s going to raise its starting wage to $11 an hour, and it’s going to give some employees bonuses following the passage of the tax bill. Walmart’s employees will reap the benefits of the recent tax law changes as the company raises its starting wage and distributes bonuses to eligible workers. And this is being done without any demand for raising the minimum wage. This is being done because of market forces. This is a great example of what trickle-down really, really is. And the story comes from CNBC. This is not a friendly-to-Trump website. Walmart announced today that it will be increasing its starting wage rate for hourly employees in America to $11 and will expand maternity and parental leave benefits. They also will pay a one-time cash bonus to eligible employees of as much as a thousand dollars. Currently Walmart’s starting wage is $9 until workers complete a training program, then they get $10. The company is also creating a new benefit that provides financial assistance to its employees who are looking to adopt a child, giving them as much as $5,000 per child, to cover expenses like adoption agency fees, translation fees, and legal costs. They are gonna be proven wrong on this at every stage and at every stage it will be provable and demonstrable that not one Democrat voted for this. And they think they’ve already won the House in 2018 this year. They think it’s a slam dunk because they think everybody thinks Trump cheated, stole the election, and they think they’ve convinced everybody to hate Trump, and they believe that everybody wants to get rid of Trump like they do. 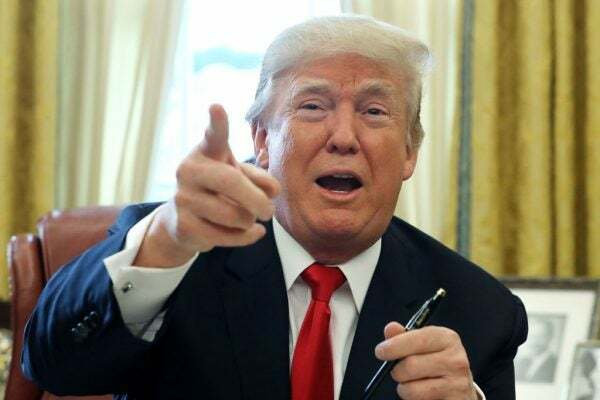 And they think everybody hates Trump because Trump is boorish, because Trump is a pig, because Trump is impolite, because Trump is crude, because Trump has no taste. You know, all the reasons they hate Trump they’re transferring to you and everybody else and assuming that everybody hates Trump. And so the 2018 election is just a matter of time. It’s a fait accompli. They’re gonna be running against stories like this, economic confidence, consumer confidence is at an all-time high. The stock market seems to be breaking records every week. And it is all attributable to the first year of the Trump administration and specific Trump policies and deregulation. And they think they’re gonna win the House on Trump hatred. They think that they’re going to win on negative partisanship. They think they’re gonna win because there’s more people that hate Trump that they can marshal to vote against him than they can convince to vote for them. The Democrats don’t have an agenda. The sole agenda the Democrats have is get rid of Trump however they can. The CEO of Walmart said, “Tax reform gives us the opportunity to be more competitive globally and to accelerate plans for the U.S.” Let me tell you something. Walmart employs a lot of people. You want to talk stimulus? You remember Obama’s pathetic little money-laundering scheme to unions that he called the stimulus? He did this the first two months of his administration in 2009. And it was $787 billion, and for this we were gonna rebuild roads, rebuild schools, and we’re gonna save America, gonna rebuild the infrastructure. None of that ever happened because 60 to 70% of the money went to union members. In fact, a lot of them teachers. But it was spread out. There wasn’t any economic stimulus. There was no economic growth that resulted from that because the money that Obama put into the economy he had to take from the economy first. This is not government money grabbed from somebody else and redistributed. This is money that is being injected into the U.S. economy from other areas of Walmart’s business because they’re going to be keeping so much more of what they earn. They’re probably gonna be cutting prices on a lot of their goods and services as well. But they have so many employees that giving each of them, or a large number of them, one thousand-dollar bonuses, Walmart alone is going to provide an economic stimulus that liberal Democrats have no way of competing against and no way of duplicating and no way of creating because government stimulus is nothing near what this is gonna be. I want to take you back, I want to go back to this program last Thursday where I offered specific details about the impact of this new tax reform law, and you tell me if some of this isn’t already happening. [T]here isn’t any populism in this tax cut because (chuckles) the biggest tax cut went to corporations, and that’s going to prove beneficial. … And this economy is poised to skyrocket even more. My contention is that every time that Trump does something that is policy oriented, that is rooted in conservatism, that’s when he shines. That’s when he’s at home. That’s when he’s confident. That’s when things work. REAGAN: The world’s largest retailer giving its U.S. employees a bonus, a wage increase, and expanded maternity and parental leave thanks to that new tax reform bill. So eligible hourly associates could get between 200 and a thousand dollars. It depends on your tenure with the company. Again, thanks to this new tax reform bill. In February, Walmart is increasing its starting wage to $11 an hour. Full-time hourly associates will be eligible for 10 weeks of paid maternity leave, six weeks paid parental leave. 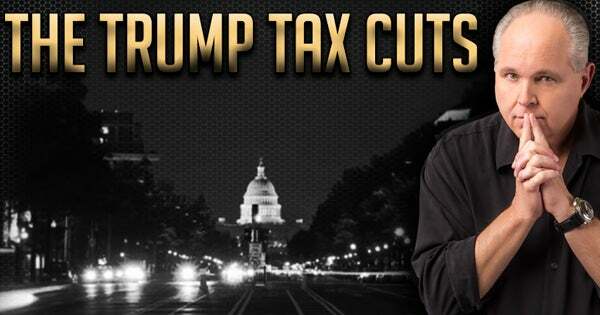 RUSH: All of these things are increases or expansions, and it’s all the result of the Trump tax cut. Here’s Jim Cramer on Squawk on the Street on CNBC describing what a stimulus this Walmart move is. CRAMER: One of the things just historically, when Henry Ford raised wages to $5 a day, the number of employees that bought cars actually moved the U.S. GDP! I am wondering whether Walmart can’t play a similar role. CRAMER: Get to these conference calls. Yesterday there was a beautiful conference call by KB Homes (sic) last… KB Homes, they’re talking about what can happen. I mean, they’re just talking about huge change. You’re talking about 35% tax rate down to 21! They don’t even know what to do with it because it happened so quickly. No one seems to know what’s gonna happen. RUSH: Right. (chuckling) Well, yes, we do know what’s gonna happen. The economy’s gonna skyrocket, and it’s gonna have a foundational base that sustains it. This is nothing more than mathematics. I cannot tell you how frustrating this is, all of these years, to have to do battle with a bunch of brain-dead liberals over basic math! You cut taxes; people keep more of their own money. In the liberal view, there’s nothing worse than that. That’s depriving government of money. That’s trickle-down. That’s giving tax cuts to the rich. There’s no way that’s gonna stimulate the economy. It works every time it’s tried, and they know it. They just can’t stand for it to be demonstrated. Skip forward to sound bites 5 and 6. Chuck You Schumer, December 20, 2017. SCHUMER: President Trump, his rich fans, cabinet members and donors — and the biggest corporations — make out like bandits while the middle class gets crumbs. RUSH: There you go: “middle class gets crumbs.” We just see that Walmart employees are being bonused a thousand dollars. Maternity leave paid is being expanded. The opening wage, the starting wage is be raised by two bucks an hour. This is not crumbs, Senator Schumer. This is gonna end up being more than you’ve ever given people individually, you or your government programs. And let’s not forget Pelosi, same press conference, September 7, 2017. PELOSI: The insulting crumbs, insulting crumbs they give working families are meager and temporary. The tax breaks for corporate America are vast and permanent. The GOP tax scam is about bleeding the middle class dry to pad the pockets of corporate America and the wealthiest 1%. RUSH: Guess who is being shown to be flat-out liars or — giving the benefit of the doubt — flat-out wrong? Schumer and Pelosi are just two of the many Democrats who are out saying the same thing that you heard them say here. (summarized) “These cuts are for corporations and for the rich! They’re gonna bleed the middle class dry to give the rich their tax cuts. This is crumbs! The GOP tax scam is bleeding the middle class dry,” and Schumer says, “They’re gonna get nothing but crumbs.” Meanwhile, look at all of these companies bonusing people, $1,000, $2,000, hiring more people, offering increases and expanded benefits. What do you think voters are gonna remember when they go vote this year? And they’re gonna get help remembering this because there will be ads created reminding people what Schumer and Pelosi said, and there’s not a single Democrat that voted for any of this. There’s not a single Democrat in the House or Senate who wanted this to happen. 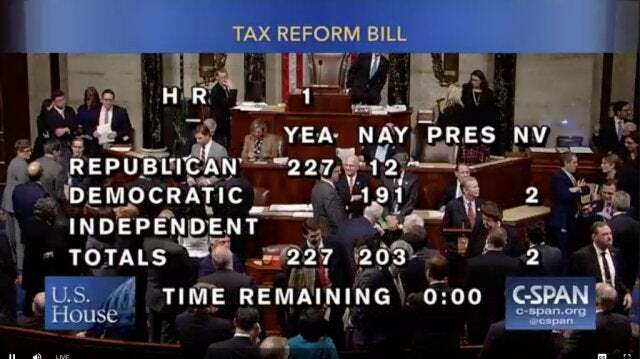 There’s not a single Democrat in the House or Senate who wanted the American middle class to have an improved standard of living and an increase in their annual income. There’s not one Democrat in the House or Senate who voted for it. RUSH: So we’re talking about over two million employees now who have gotten bonuses. There are anywhere between one and 1.5 million employees — in some cases over two million depending on how you calculate it — in the U.S., Walmart employees. They’re all going to benefit to between $200 and $1,000 in bonuses, expanded maternity benefits and so forth. And for the entry-level people, a rising entry wage from $9 to $11. But wait! That’s not all. Because every one of these people is going to have a tax cut as well. Everybody’s taxes have been cut. Not just the corporations, but everybody. Eighty percent of Americans are going to see a personal income tax cut. So while they’re getting all of this new bonus money, they’re going to be keeping even more of it than they would have. Now, it’s a little bonus that nobody’s adding on this. They’re just saying, “Hey, man, look at this! Walmart’s bonusing these people.” Yeah, it’s true, and so are these other companies. But the people getting the bonuses are now gonna keep much more of it because they’re all going to receive tax rate reductions or tax cuts. But! There’s one other aspect of this. Where is the money coming from? (interruption) No, no, no. I’m serious with this. On the Fox Business Channel today, a CEO who does bonuses (a CEO who has decided to bonus employees at his company) said that this money is not coming from their profits. Stop and think of this. This bonus money, this money that they are giving to their employees, is not coming from their profits. These bonuses are a pass-through. This is money that would have been sent to Washington. That is the way to look at this. You who are getting bonuses where you work, the bonuses that you’re getting are not going to lessen the profitability of your company. This is money that would have otherwise been sent to Washington. But instead, you’re getting it. One more sound bite here before we go back to the phones. Christine Romans at CNN. Now, this is an amazing sound bite because I can’t believe she is admitting this. Christine Romans is one of the many economics correspondents for the Drive-By Media which just covered for every mistake and bad move economically that Obama made. She has been constantly (like all the others in her business) trashing American businesses as being unfair and treating their employees unfairly and not paying decent wages. I mean, she’s been right down the line with the liberal Democrat talking points on corporations. And so I guess this is so blatantly obviously that not even CNN thinks that they can cover this , mask this or turn it into something negative. This is on CNN’s Newsroom today, and she’s reporting about Walmart’s decision to increase parental leave, raise wages, and give out bonuses. ROMANS: Walmart raising its minimum wage again, handing out tax cut bonuses because of the new tax law. Uh, workers will make at least $11 an hour starting next month. Employees will be eligibility, some of them, for bonuses of up a grand. The retailers have the biggest to gain from the tax bill. ROMANS: You look at 35% tax rate all the way down to 21% tax rate. Walmart has the money to do it; it’s gonna raise wages again. Also, it’s in a food fight with Amazon and other online retailers. So it behooves them to keep their employees happy. RUSH: She just admitted… She just admitted that there is competition in the private sector that is improving the lot in life of employees. She just admitted that employees’ standard of living is getting better in the private sector because of tax cuts and because of competition between Walmart and Amazon. In the previous eight years, if anything good happened to you it was because of Obama, and Obama and Michelle Obama caring about you, and Obama and Michelle Obama punishing corporations for not being fair with you, and punishing corporations for making products that kill and you punishing corporations for destroying the world with climate change. And now we get this? She mentions the tax rate reduction from 35% to 21%. “Walmart has the money.” You know, they would love to do a story about how with the tax cuts, Walmart is not bonusing everybody and not raising their wages and not expanding benefits. They would love to report that story, except they can’t because the corporations that are doing what they’re doing are giving the money to employees, and remember… Folks, this is so important economically to understand this. These bonuses… I don’t care what company we’re talking about, these bonuses are not coming from the profit line. They are coming… This is money that would otherwise go to the government. This is the tax cut being given to people that work there. Not all of it. Some of it’s gonna be plowed into R&D obviously and other budget areas to grow the business. But they are treating their employees to expanded benefits, wages, bonuses, and all of this. Republicans need to drive this home throughout this year: Your improved standard of living is because the money you are earning is money you’re keeping. The increase in your standard of living this year is money that the government did not get because the Republicans cut your taxes. And that’s it in a nutshell. And this is something, again, not one Democrat voted for. This is something that pretty much every member of the Democrat leadership lied about. This is something that no Democrat, not only didn’t vote for, but probably doesn’t support. This is a threat to Democrats! Rising economic stability, rising standards of living, less dependence on government? Those are not good things. As I said yesterday, the Democrat Party is the one political party that profits from poverty, the one political party that attempts to grow and enrich itself with poverty. The Democrat Party is the Democrat Party that stakes its future on a constant underclass in poverty. Yet they claim they’re for the little guy. They’re looking out for the little guy. They’re protecting the little guy from these evil, big, bad corporations. RUSH: A little press briefing the White House, April Ryan, the American Urban Radio Network, talking to Treasury Secretary Mnuchin. “So how closely did you and the president work with Walmart to arrange these bonuses?” So that’s gonna be the theme. The Drive-Bys are gonna say that this is collusion, that Trump coordinated all these raises with these businesses doing it. That’s how they’re going to write that it’s not legitimate. Just giving you a heads-up.